The high-resolution front-facing Bellus3D Face Camera Pro enables new capabilities in professional markets at a breakthrough list price of $499.00. Bellus3D face scanning will bring customized products to end users that are tailored to each person's face. Bellus3D, Inc. a Silicon Valley startup formed by leading computer vision experts, announced today that the Bellus3DTM Face Camera Pro is now in production and the company has started to receive its first orders. The Bellus3D Face Camera Pro is an easy-to-use, high-resolution, 3D face scanning camera targeted to a wide variety of new innovative uses in professional markets. The new camera is priced at $499.00 and represents a price performance breakthrough that will significantly expand the use of 3D face scanning. The company’s first customers are using the camera for applications such as digital makeup simulations, virtual eyeglass design, facial surgery before-and-after simulation, dental orthodontics modeling, and custom face mask designs for scuba, industrial masks, and CPAP. The company also foresees the development of 3D facial scanning kiosks for consumers to scan their faces for virtual try-on, augmented reality, virtual reality, and video game avatars. 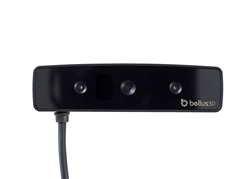 The new Bellus3D Face Camera Pro consists of two Near Infrared (NIR) structured light projectors, two NIR image sensors and a color image sensor which combined capture high-resolution 3D depth data and image texture maps. Over 500k data points are captured in the scanning process which are then used to reconstruct a highly detailed 3D digital model with sub-millimeter depth accuracy. The 3D face model can be exported in a standard 3D file format to other applications for additional processing or presentation. Once the fifteen-second scanning process is completed, the Bellus3D application software allows the user to completely rotate, zoom and see their lifelike face in three dimensions with sub-millimeter precision. The company also announced today a new Windows SDK. Both the Windows SDK and Android SDK are now available to developers participating in the Bellus3D Developer Program. Bellus3D is demonstrating their new Face Camera Pro at the CES in Las Vegas, Nevada Jan. 9-12, 2018. The booth location is: Tech West, Sands Expo, Level 1, Hall G and Venetian, Level 1, Space: 51104. Press are invited to see Bellus3D demonstrations at CES Unveiled from 5:00pm -8:00pm on January 7, 2018. The CES Unveiled Event is located at: Mandalay Bay North Convention Center, Shorelines Exhibit Hall, table EP22. 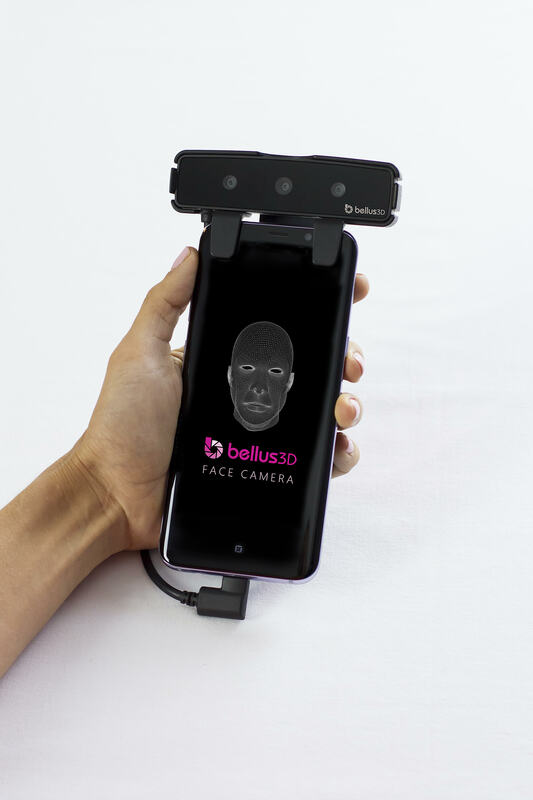 Bellus3D (http://www.bellus3d.com) is the innovative leader in high-resolution 3D face scanning and face ID technology designed for mobile platforms. The company is a venture-backed Silicon Valley startup founded in March 2015 by leading computer vision experts to bring the next generation of face scanning technologies to worldwide markets.